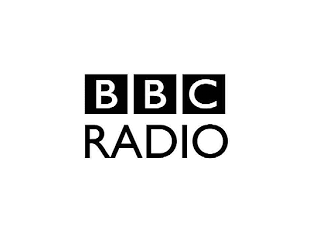 Reductions in BBC Radio output to save money were announced today as the BBC Trust announced the outcome of its service review of the BBC's music radio stations, telling BBC Radio stations to be more distinctive in their output. The review included BBC Radio 1, 1Xtra, BBC Radio 2, BBC 6 Music and BBC Asian Network. It found that 49 per cent of all UK adults are listening to at least one of the six stations each week, and listeners’ perceptions of quality of the stations are high. According to the Trust, analysis of the music played on each of the six BBC music radio stations "showed that they play a wider range of tracks and genres than is available elsewhere on radio. We’ve also found that the overlap of the music played on BBC music radio and commercial stations is low." The Trust said that some changes were needed: It said BBC Radio 1 "should find more ways to deliver a range of public purposes in its daytime programming." It was also told to remain focused on serving a younger audience. BBC Radio 2 was told to appeal more to black, Asian and minority ethnic listeners. BBC Radio 3 was instructed to minimise similarities with other stations. Representing the commercial radio sector, RadioCentre Chief Executive Siobhan Kenny responded to the BBC Trust's findings saying: “This report provides plenty of food for thought for the BBC, with a helpful emphasis on keeping its music radio services highly distinctive from commercial radio." The number of live music sessions on BBC Radio 1 is being reduced. Radio 1 and 1Xtra will increase the number of documentaries shared between the stations, and the number of dramas on Radio 3 will reduce. The BBC Asian Network’s news and current affairs output will now be safeguarded through a service licence commitment to broadcast at least 24 hours of news and current affairs per week.